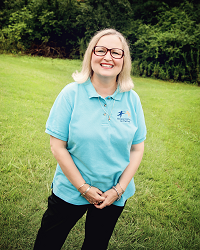 It is with a mix of emotions…..a little sadness, some trepidation, and a lot of excitement… that I announce my retirement from my long and beloved career at Memphis Oral School for the Deaf (MOSD) effective June 30, 2018. I began this journey in high school as I set my goals on a teaching career to help deaf children learn to listen and talk. In 1972 I was placed at MOSD for a practicum experience as a special education major at the University of Memphis and I later moved to Washington University in St. Louis to pursue a Deaf Education degree at Central Institute for the Deaf. I worked as a volunteer at MOSD with Subsidium, then as a classroom teacher, and for the past 15 years as both Principal and Executive Director of this fine organization. I could not be more proud to have served our children and families over these many years. I am now the grandmother of 2 girls and 2 boys and I want to be able to spend more time with them. 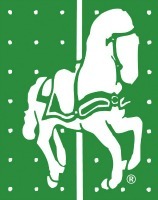 I have other exciting opportunities and interests to pursue before old age takes over! I am very proud of Memphis Oral School and I am confident that I am leaving at a time when all looks bright for the future of our programs. Children are being identified and enrolled at earlier ages, hearing technology is evolving daily, and our highly-trained staff is achieving remarkable outcomes with the early intervention we provide each day for our children and their families. Over the next 6 months, our Board of Directors will be actively engaged in finding the right candidate to replace me as Executive Director. Because you are so important to MOSD, we will announce our selection to you as soon as possible. I will be here to help train my replacement and introduce them to all of you. Of course, even after I leave, I will always be nearby to support and encourage our staff in the important work that we all do to empower deaf children to listen, learn, and talk. I wish that everyone could know the joy of a long and satisfying career. I have seen remarkable improvements in deaf education and in the limitless possibilities that our students now have. I am grateful that I have always felt that God was my partner in this work, and I have been BLESSED beyond measure through the relationships I have made with all of you. 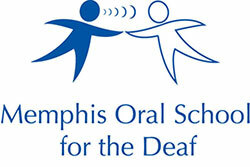 Thank you for supporting our work at Memphis Oral School for the Deaf and for loving our children.